We are an ELCA Synod Lutheran Church and have been in Amador County for over 50 years. Amador County produce is proudly sold by local farmers at the Amador Farmers Markets and throughout the Mother Lode Harvest CSA. Retail feed, pet food & supplies. Gifts, clothing & accessories for you and your pets. We host FREE community events throughout the year. Sales and installation of floor & window coverings. Local resource for appliance sales and service including sales of televisions, home audio, Traeger BBQ's. 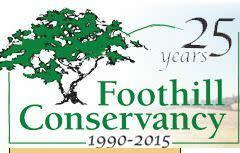 Our mission is to protect, restore and sustain the natural and human environment in Amador & Calaveras counties. Specialty/custom bed and bath store. Custom bedding, linens, upholstery, furniture, home decor, accessories, aromatherapy, pampering needs and more.